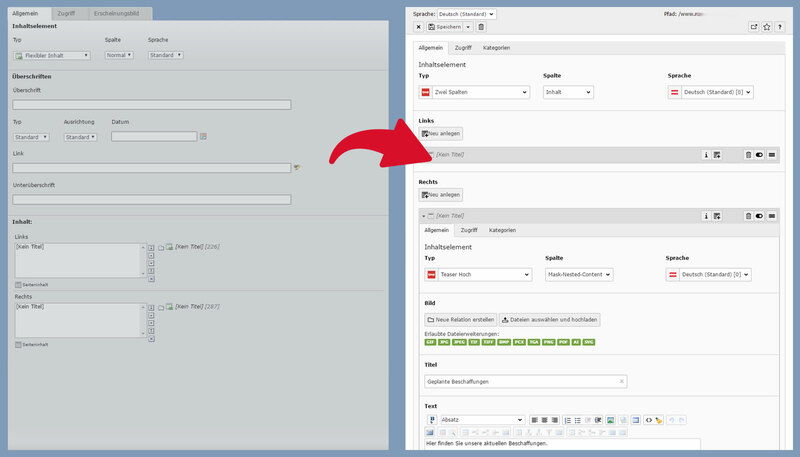 This is a converter from the content stored in Templavoilas flexform to database fields. It respects all content and pages-content. You can use the converted data out of the box with our extension Mask in a modern TYPO3 version. 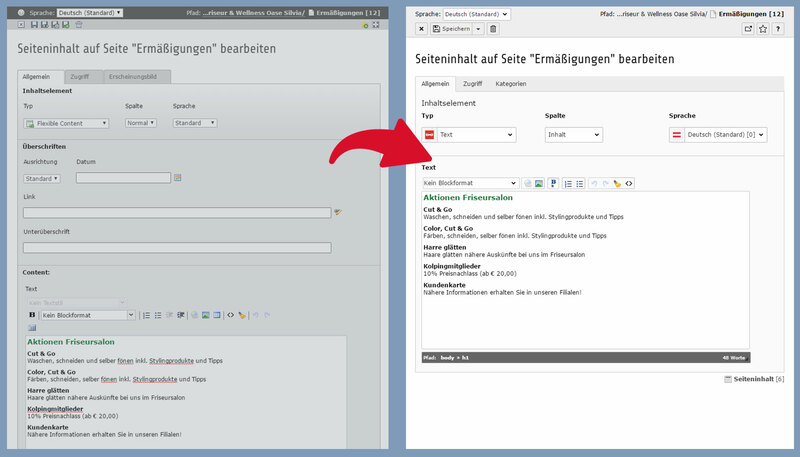 It is also possible to use the data for other extensions or other CMS directly from the database. 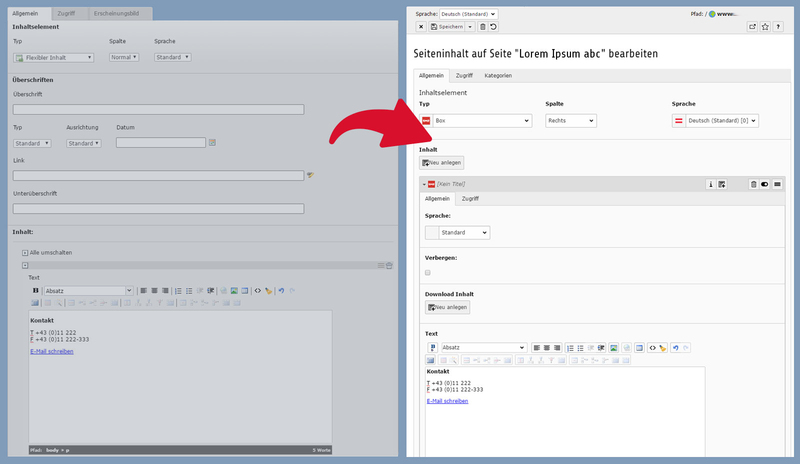 The converter solved our main issue - replaceing TemplaVoila to work with fluid-based pure TYPO3 stuff. We get a perfect support from the team to make it work. Great! The TemplaVoila! 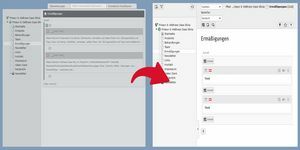 Converter is a real enrichment for our development team: it works simple and uncomplicated out of the box and saves time and energy. 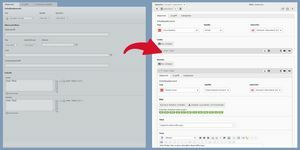 Take a look at some screenshots from converting TYPO3 6.2 with Templavoila to TYPO3 7.6 with Mask. Screenshots taken immediately after converting, without any further adjustments. 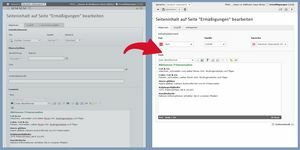 The page module before converting (Templavoila's page module) and after converting (TYPO3's page module). The files-box before converting from Templavoila and the FAL-view after converting. Repeating Elements (Sections&Container) in Templavoila and IREE after converting. Regular field in a contentelement. This examlpe shows a rich-text-editor field. 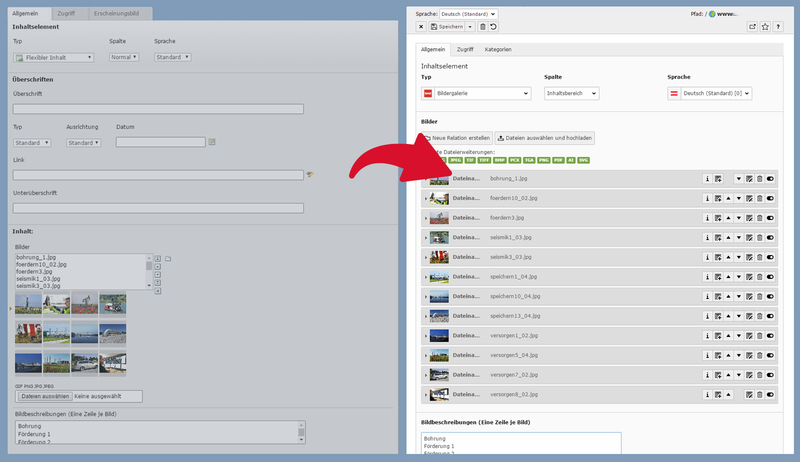 Contentcolumns in Templavoila will be converted to "Content in Content" in Mask. See next Screenshot for details. Contentcolumns edited in Templavoila and edited in Mask. 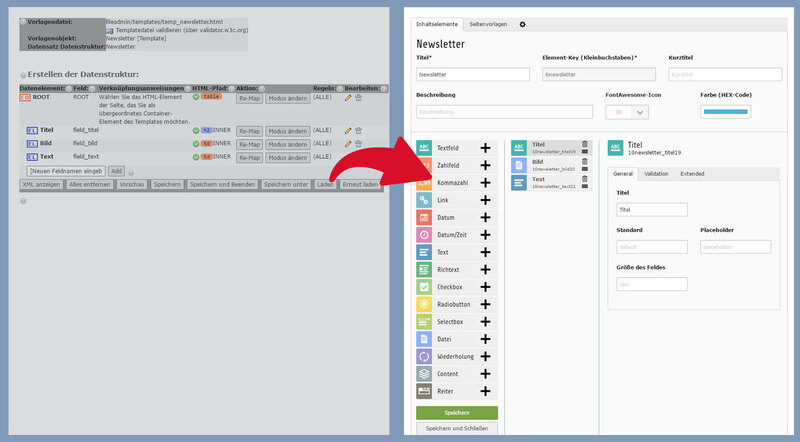 The same columns "Links" and "Rechts" exists in both Systems. 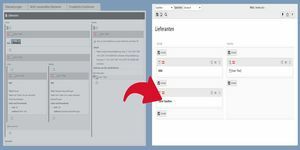 Translations of page properties are always editable in the default language in Templavoila. 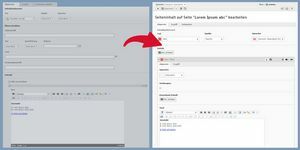 The converter separates this fields to each page-language. 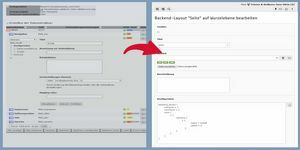 For each Templavoila-Pagetemplate, a Backend-Layout will be generated. 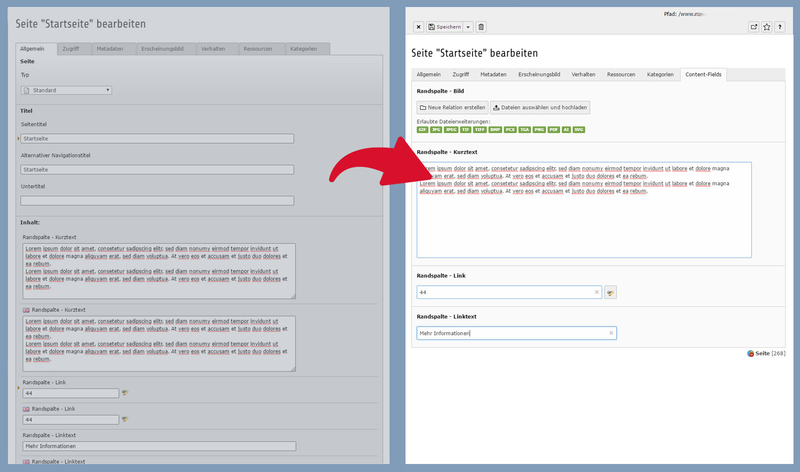 All contentcolumns will be transfered to the Backendlayout configuration. Each Templavoila FCE will be converted to a Mask (TYPO3) Contentelement. 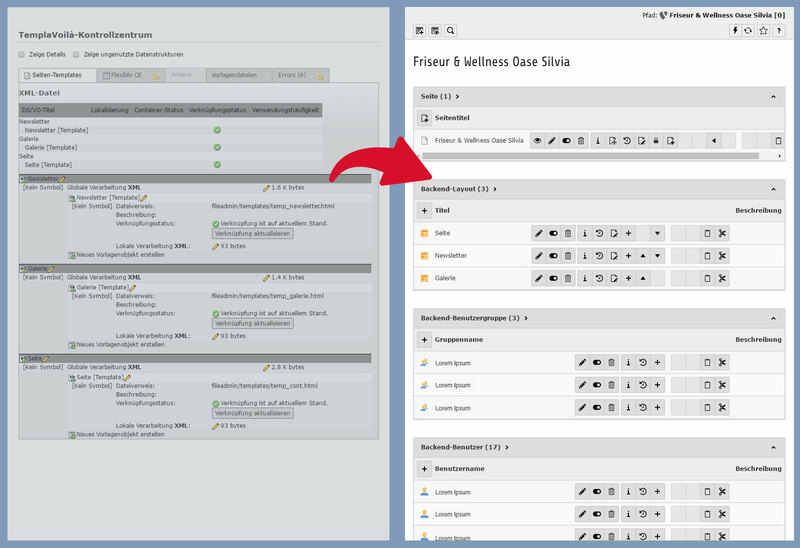 Each field on a FCE or pagetemplate will be converted to a Mask (TYPO3) field (in tt_content, pages and pages_language_overlay tables). 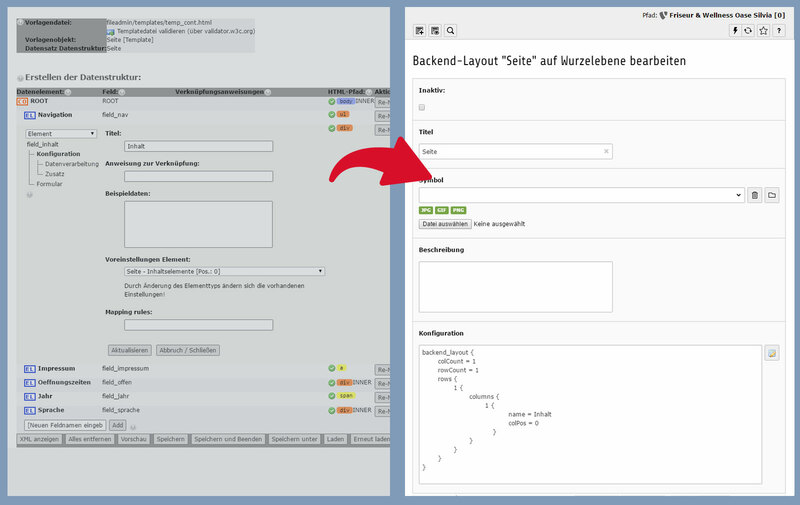 Upgrade TYPO3 to version 8 LTS. A development-host is recommendet. 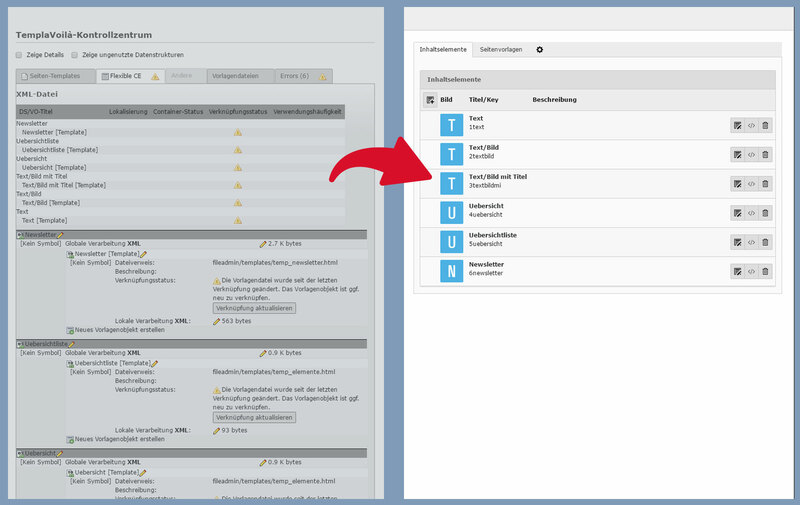 Tipp: Deinstall all your local extensions and upgrade TYPO3. Handle your extensionupgrades after converting. 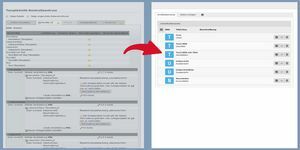 Don't delete any databasetables and -fields if you make a "Database compare". 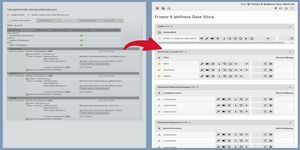 Index the folder by open it in the TYPO3 backend module Filelist and browse (paginate) all files. 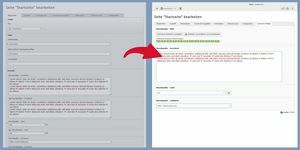 Or use the scheduler task "File Abstraction Layer: Update storage index". We respect privacy and don't store your data after converting. We are not interested in analyzing your data. The converter is an offline software. So you can be sure, that no one can access it online. If required, we sign a NDA. Here you find more informations about what we guarantee, what is considered, what is not included, what will be delivered and informations after converting.